What is DAZN and how do I watch it? Watching the next big boxing fight or sports event can get quite expensive, especially if you’re watching on PPV with matches costing anywhere from $50 upwards. Luckily for you, there’s a new live streaming service available called DAZN (pronounced Da Zone) that lets you watch over 100 fight nights a year for $19.99 a month or $99.99 for a full year. And the great news is that it seems to be getting bigger and bigger. The service first launched in Austria, Germany, Japan and Switzerland in August 2016 but soon expanded into Canada the following year. Building on this success, DAZN then launched in the US and Italy in 2018 and are extending into Spain and Brazil in 2019. While fighting sports were the service’s main focus at launch, it has since expanded its coverage to show other sports including the Premier League, NFL, NBA, MLB, NHL, F1 and others though the site’s content differs on country-by-country basis. So if you’re tired of overpaying to watch the next big match or are considering cutting the cord on cable all together, DAZN could be worth a look It's quickly becoming one of the best streaming services for watching live sports and it will likely only get better as the company expands its coverage further. 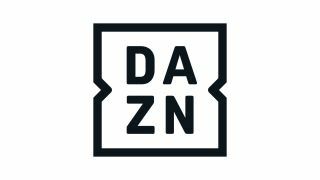 DAZN is available in the following countries: Austria, Germany, Japan, Switzerland, Canada, Italy and the United States. Once you’ve created an account and signed up, you can watch DAZN on a wide variety of devices including Roku, Apple TV, Chromecast, Xbox One, Playstation, iOS, Android and from Chrome, FireFox, Internet Explorer and Safari via the web. What sports does DAZN show? Due to the fact that streaming rights differ from country to country, the live sporting events available from DAZN will depend on where you live. In total, the service offers more than 8,000 events a year including the Premier League, NBA, NFL, MLB, NHL, F1 and of course boxing and MMA. DAZN signed a $1bn deal with Matchroom Boxing USA to live stream 32 fights per year exclusively on the service. The company also has a deal with Bellator to live stream 22 events per year and it will also show 15 fight nights each year from the World Boxing Super Series. If you want to see a more comprehensive list of all the sports available on DAZN broken down by country, then we suggest you head over to the service’s Wikipedia page for more information. While we're loathe to simply link to a wiki, the table it includes makes things super easy to see what's streaming where. Subscriptions to DAZN doubled in March 2019, flying up to $19.99 per month in the US (around £15), which includes access to all of the service’s live events. Subscribers can also watch highlights, replays, behind-the-scenes features, live new reports and the service’s own original shows. With DAZN there is no contract so customers can cancel their membership at any time. But the better value option would now be to get hold of a full year of access for $99.99 (roughly £75). Yes you're tied in for a 12 months, but it works out at only $8.33 a month, so even cheaper in the long run than it was before! Can I watch DAZN for free? We're afraid not. DAZN used to offer a free trial to its customers, which was handy to get a flavour of the service - as well as watching standalone events absolutely free. But the free trial has now been removed. How do I watch DAZN from abroad? DAZN says that you should be able to watch its service on your subscription even if you are out of the country, just as long as your account as cross-border portability included. If you're keen to watch something on DAZN but are struggling to get access where you are, you could always try using a VPN to and change your IP address to one in a country where the service is available. We’ve highlighted the best VPN services so all you have to do is choose one that fits your needs. Once you’ve done that, just login and change your IP address to one in any of the countries where DAZN is available and you’re good to go.